Football can be difficult to follow. Twenty two grown men tearing blindly after a leather ball? It’s just as well there are commentators to explain what’s going on. 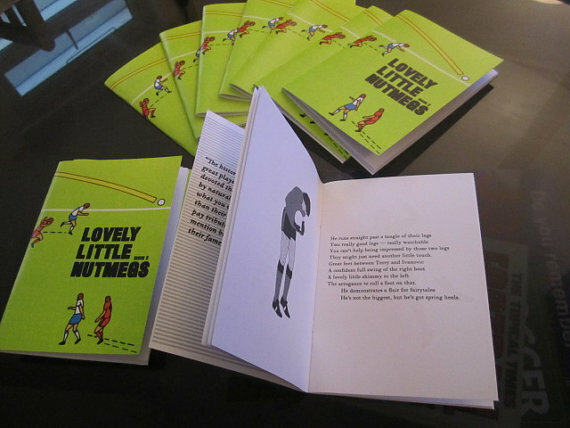 Lovely Little Nutmegs is a collection of commentary snippets from recent games, arranged into verse as sonorous and solemn as something your maiden aunt might have written. In the 1800s. 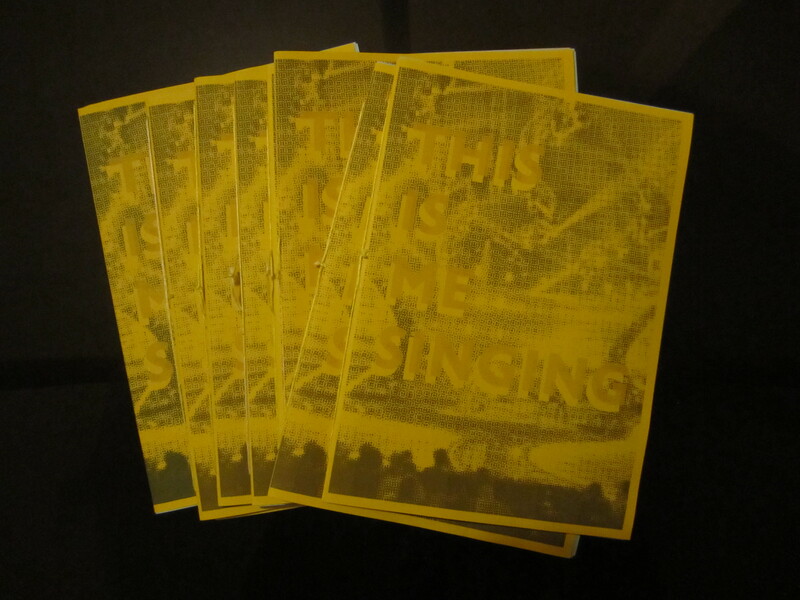 We’ll also have copies of our brand new zine Me Singing, which takes a look at internet stardom at its least viral. 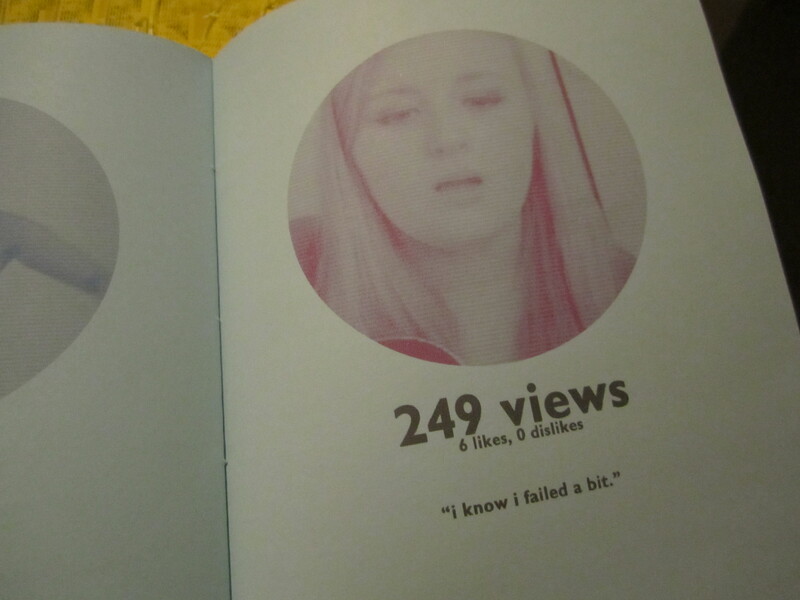 The zine features a whole rafter of screenshots from videos uploaded to Youtube under the tags “Me Singing”, in which popular songs are lovingly reworked beneath the watchful eye of a webcam. The people behind these video clips are a departure from your usual Youtube sensations, however, since each one has only received a tiny number of views and is unlikely to hit the big time any time soon. So what is it that makes ordinary people so keen to transfer their own small bursts of karaoke from the privacy of their bedrooms to the wider echelons of the internet? It’s a phenomenon we haven’t quite figured out yet, but what comes across with many of the singers here is their sense of self-consciousness, with some apologising for awkward behaviour, or their voices not being up to scratch. Beneath the sheepishness, however, lies a quiet passion for the song they have chosen, and some deeper impulse for it to be noticed by a wider audience – no matter how small. Struggled to make it through the summer without Match of the Day at your elbow? 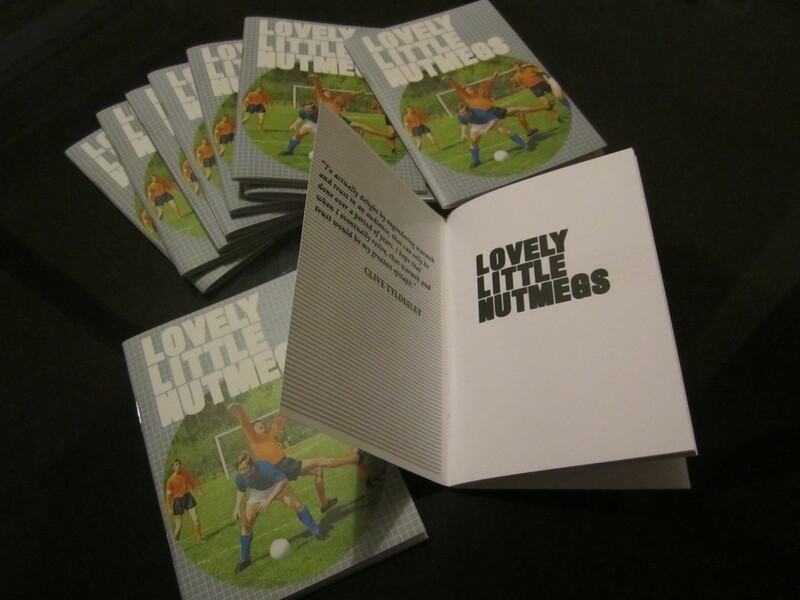 Fear not, the second issue of Lovely Little Nutmegs is here. We’ve spent the past year listening to football commentators gilding the lily, and noted down any bon mots you may have missed — and in a form so naturally lyrical as this, it didn’t take much tinkering to rearrange them into sonnets. We think the words on these pages convey the valiant struggle of those brave strikers and midfielders better than Homer or Aeschylus ever could. 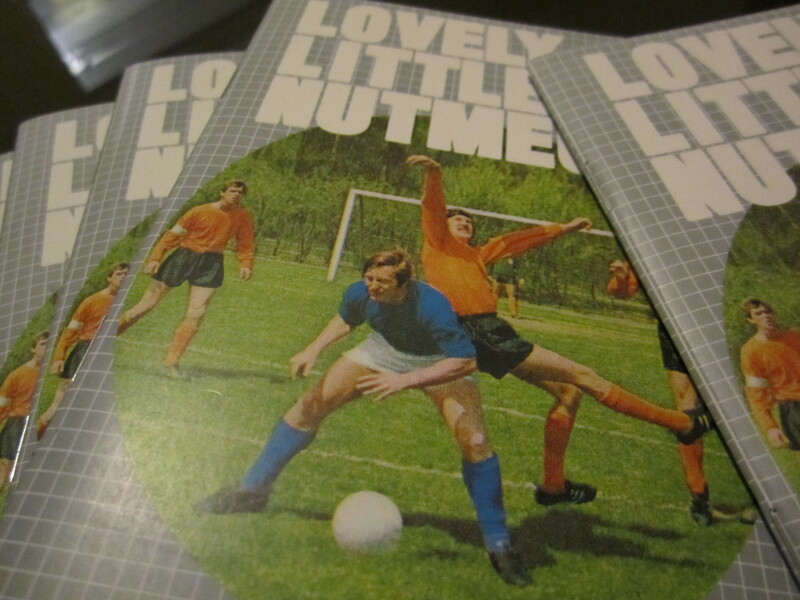 From misses to miracles, red cards and relegation, Lovely Little Nutmegs is a song of battles lost and won. Looking at a ribbon found behind in an old photo printing machine I noticed traces of images left behind. Placing the ribbon onto an overhead project it became possible to project these vague images and re photograph them. 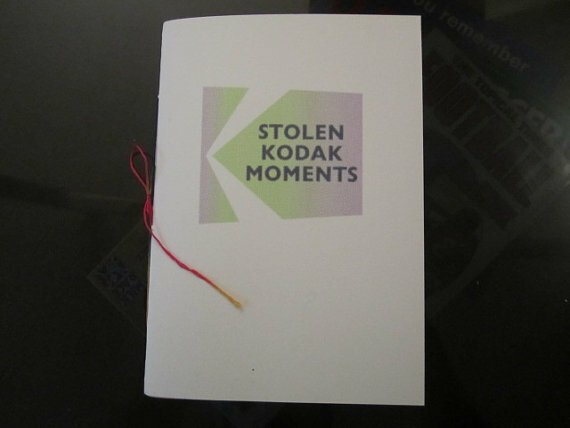 The result of which is this fanzine, which is an interesting take on the photos people print and the traces they leave behind. 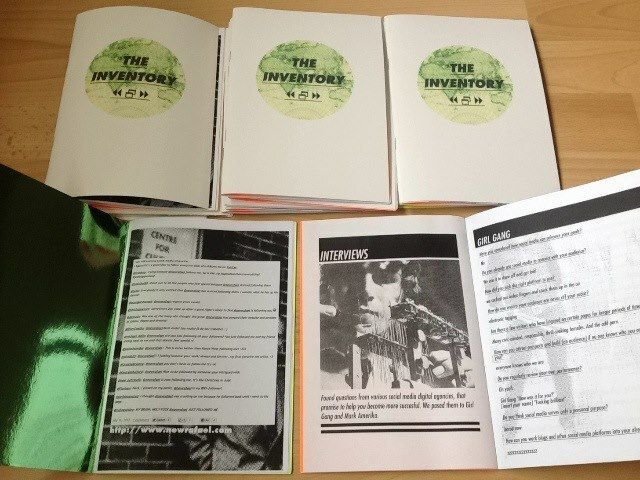 The Inventory is a fanzine compilation of the digital artefacts produced online, seeking to explore the relationship between user-generated content and the ways in which we digitally present ourselves. How do the images we upload, the links we share and the comments we post enable us to subtly position ourselves as successful human beings? 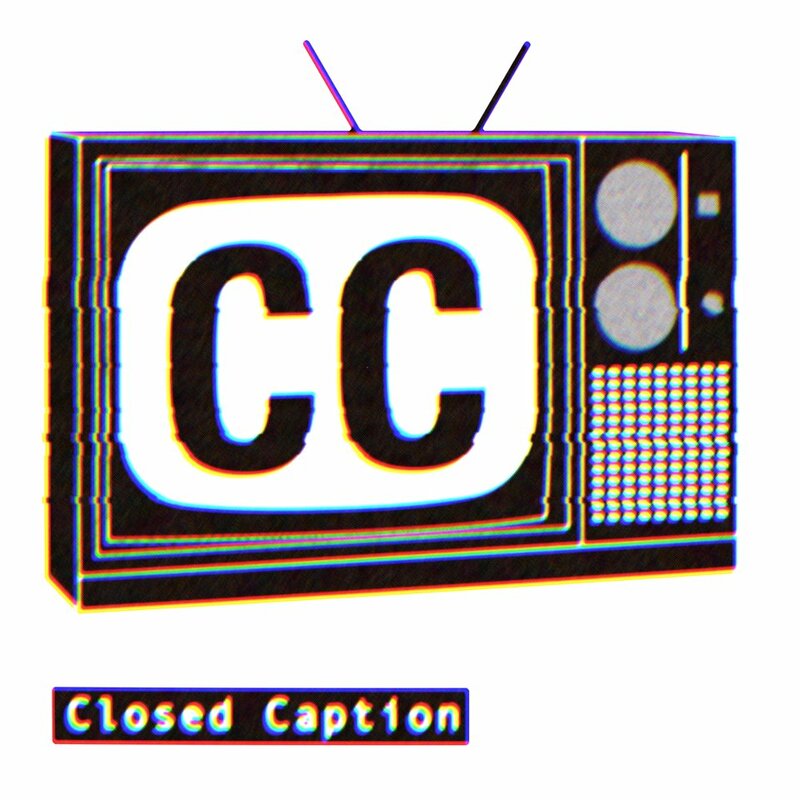 Artists and staff involved in the festival are invited to share their digital worlds and social networking profiles for Peter Martin and Orla Foster to reconstruct through the methodology of a fanzine writer. By extracting the concept of digital positioning, Martin and Foster aim to mediate this medium into a new form for evaluation.